Is This the End of (affordable) Travel? We live in a golden age for travel. Never has the world been so accessible to so many. Growing middle classes in previously impoverished nations are taking to the road at the same time discount airfares, packaged tours, and generally improving travel infrastructure everywhere are making destinations more accessible to everyone. It’s a trend that’s proven so successful that it can’t possibly continue. Many popular destinations have already reached their carrying capacity. Beyond some point it becomes physically impossible to cram one more hotel or restaurant into already crowded neighborhoods. In some places it’s becoming impossible to even cram one more body. We know this from first hand experience. It just so happened that many of the cities on our itinerary this year also happened to be major cruise ship destinations. What we discovered is that modern cruise ships are so large, carrying as many as six thousand passengers each, that even a single ship can easily overwhelm a small city with tourists. The morning we left Venice, Italy, we counted five already in port. 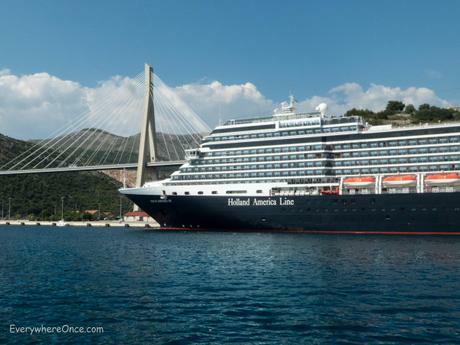 With so many ships unloading so many passengers onto the narrow city streets of so many formerly quaint old towns, we learned quickly to start planning our day’s activities around cruise ship schedules. On the heaviest days we’d try to avoid the most popular attractions or, better yet, get out of town altogether. But as annoying as tourist crowds are for other tourists like us, they’re much worse for locals who have to deal with the throngs day in and day out. Increasingly, locals are starting to push back. It seems hardly a week goes by where we don’t read an article detailing some form of new tarnish accumulating on our golden travel age. Whether it’s due to the boorish behavior of party travelers or the way services for tourists tend to crowd out those for residents, there’s a growing sense in many popular destinations that tourism needs greater regulation and probably more restrictions. An aptly named New York Times article, The Revolt Against Tourism, recounts the imposition of quiet zones in Denmark and a one-year ban on new tourist accommodations in Barcelona. Elsewhere, access to the most popular attractions is being limited by the introduction of strictly timed tickets or by other measures. And while such limits are clearly needed to prevent the world’s most beloved treasures from being loved to death, tourist restrictions aren’t without costs. It’s a universal economic truth that when you limit the supply of any good or service you necessarily increase its price. With fewer new hotel rooms opening in Barcelona, for example, existing rooms will be in greater demand and hotel owners will have a freer hand to charge more. And higher prices for tourist services are not necessarily an unintended consequence. They’re part of the design. If the cheapest rooms in town run $200 per night, far fewer people will choose to travel there. And that’s the whole point. One country has followed that logic all the way to its extreme conclusion and serves as an example to all the rest. To gain entry into the Himalayan Kingdom of Bhutan all travelers are required to book a tour with an approved agent and spend a minimum of $200 per person per day. 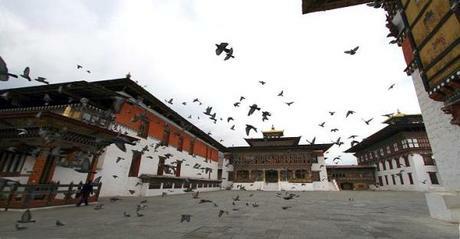 There are no budget travel options in Bhutan. By raising the price of travel in this way Bhutan has successfully controlled the number of visitors to the country without needing to impose a hard limit on how many travelers can enter. Instead of allowing mass market tourism to inundate and overwhelm its country, Bhutan has focused on nurturing what it calls “high quality” tourism. Others may know it better by it’s more traditional name as luxury travel. Still others may simply call it unaffordable. But it’s hard not to think that Bhutan is on to something. As more and more of the world’s best destinations try to cope with the downsides of mass tourism, Bhutan’s model offers one intriguing alternative. It has the potential to keep tourist dollars flowing while cutting down on the crowds and all the problems they bring. That just might be the holy grail of tourism. And to capture it, all countries need to do is one simple thing: raise their prices.